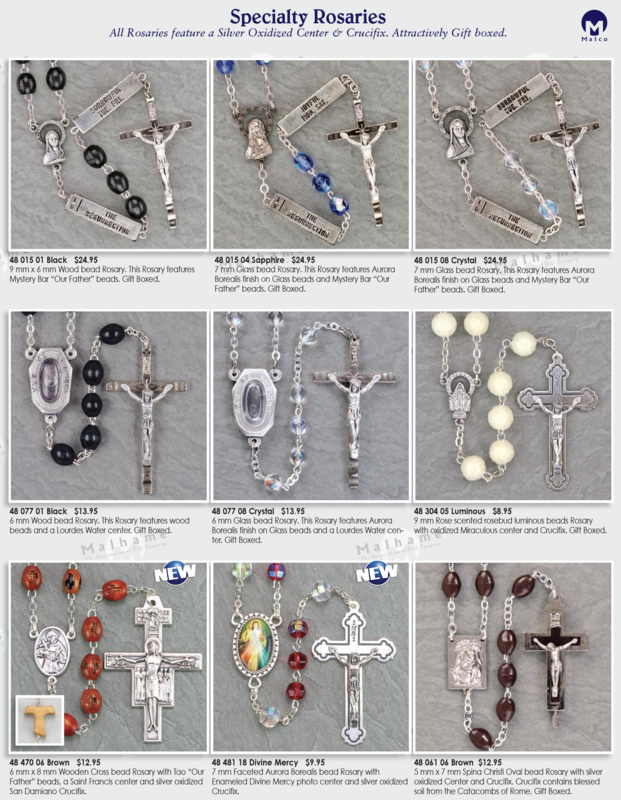 All Rosaries feature a Silver Oxidized Center & Crucifix. Attractively Gift boxed. beads and a Lourdes Water center. Gift Boxed. Borealis finish on Glass beads and a Lourdes Water center. with oxidized Miraculous center and Crucifix. Gift Boxed.